It is a fallacy to think that any system, hydroponic or otherwise, can ever be fully removed from its surrounding environment or from the rest of the supply chain. From the construction materials used to the resources utilized in production and distribution, everything is ultimately connected. There can be no one ultimate solution in such an interconnected ecosystem. Furthermore, it is misguided to think the NOP standards specifically focus on soil health or that all organic certifications are equal. chemicals as well as the addition of non-organic ingredients in products that carry the “organic” label; even certified organic is allowed 5% of non-organic ingredients. Furthermore, the standards only call for “crop rotation,” disregarding the disastrous effects of monoculture on the soil. Also missing in the NOP standards are guidelines for regional/climate considerations, water management, and any integration of animal and crop production, further disregarding crucial elements of soil and ecosystem health. The NOP standards also do nothing to address energy requirements or high farm consolidation. a better option than conventional products, in terms of ecosystem effects, but more must be considered in a truly sustainable agricultural system. Therefore, I believe hydroponic systems can and should carry the organic seal if they meet the organic production standards; it does not diminish organic crop farmers or organic crop production standards. 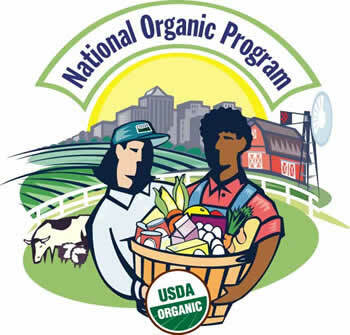 The NOP standards and organic standards in general are indeed widely misunderstood.